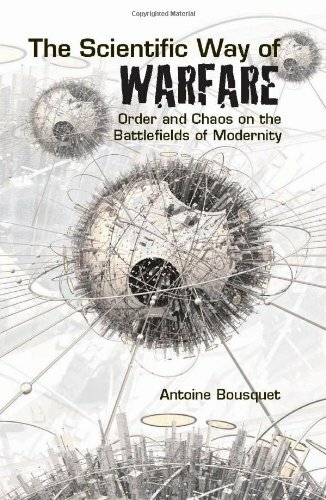 [PDF] The Scientific Way of Warfare: Order and Chaos on the Battlefields of Modernity (Columbia/Hurst) | Free eBooks Download - EBOOKEE! Description: Beginning with the Scientific Revolution and concluding with today's terrorist networks, Antoine J. Bousquet advances a novel history of scientific methodology in the context of the battlefield. For centuries, scientific conceptual frameworks have been applied to theories of war, particularly with the invention of such influential technologies as the clock, the engine, and the computer. Conversely, many scientific developments have been stimulated or conditioned by the experience of war, especially in the wake of the unprecedented technological and industrial effort of World War II. Marked by an increasingly tight symbiosis between technology, science, and conflict, the constitution and perpetuation of this scientific way of warfare are best understood as an attempt by the state to turn violent aggression into a rational instrument of policy. In his study, Bousquet explores the relative benefits (such as a unique chain of command to safeguard the use of nuclear weapons) and decentralizing (such as the flexible networks that connect insurgents) military affairs. He then follows with specific scientific approaches to war: mechanistic, thermodynamic, cybernetic, and "chaoplexic," a network-centric theory allied with the non-linear sciences. No comments for "[PDF] The Scientific Way of Warfare: Order and Chaos on the Battlefields of Modernity (Columbia/Hurst)".